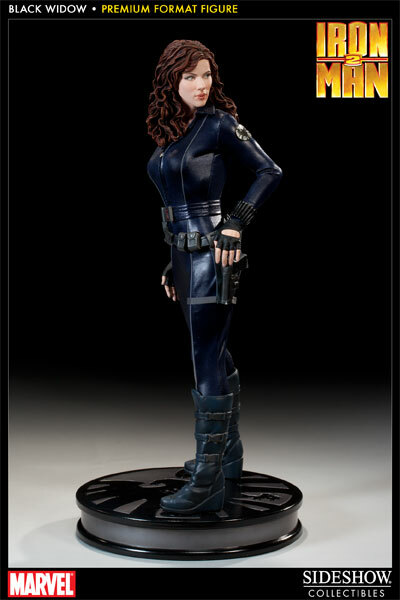 Sideshow Collectibles is proud to introduce our newest Premium Format figure, Black Widow, from the blockbuster film Iron Man 2. 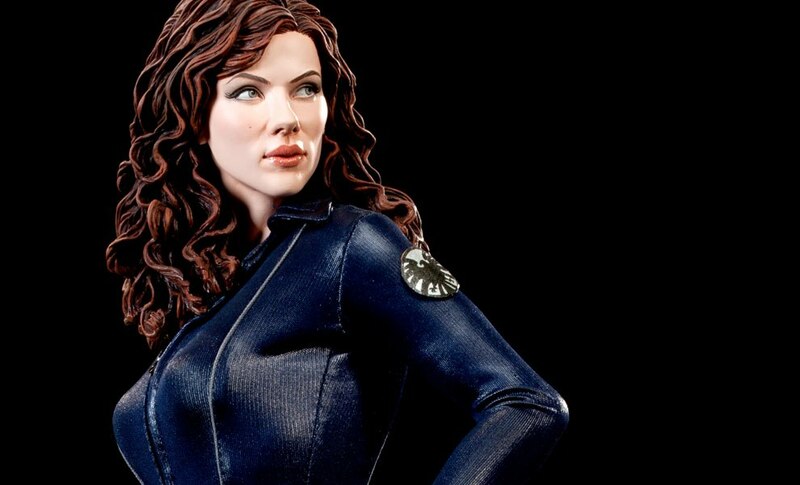 Presented in stunning 1:4 scale, the covert S.H.I.E.L.D. operative has shed her secretarial disguise and is outfitted in a fabric bodysuit, armed with a holstered pistol. Standing approximately 19 inches tall, each piece is individually painted and finished with its own unique quality and detail that is the trademark of a handcrafted Sideshow Collectibles product. 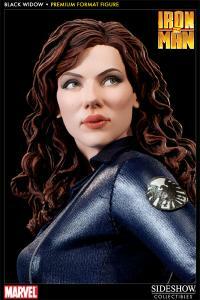 The Black Widow Premium Format figure makes an exceptional addition to any collection. Switch-out right hand with second pistol. Presented in stunning 1:4 scale, the covert S.H.I.E.L.D. operative has shed her secretarial disguise and is outfitted in a fabric bodysuit. 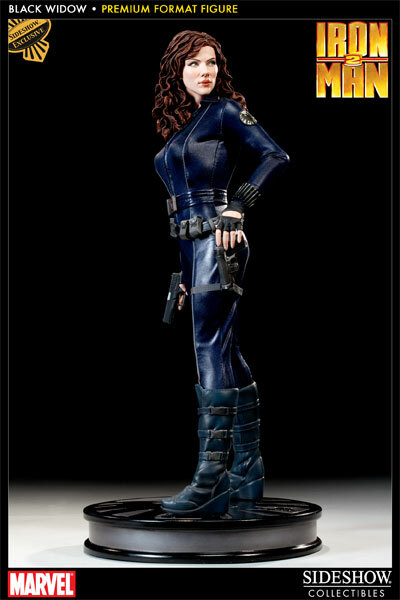 Standing approximately 19 inches tall, she can be displayed with her firearm holstered or drawn. Finished with the unique quality and detail that is the trademark of a handcrafted Sideshow Collectibles product, the Black Widow Premium Format figure makes an exceptional addition to any collection. Absolutely beautiful premium format statue. Looks even better in person than the promo pictures listed in the product description. Very tall piece that will never leave my collection. Go ScarJO! 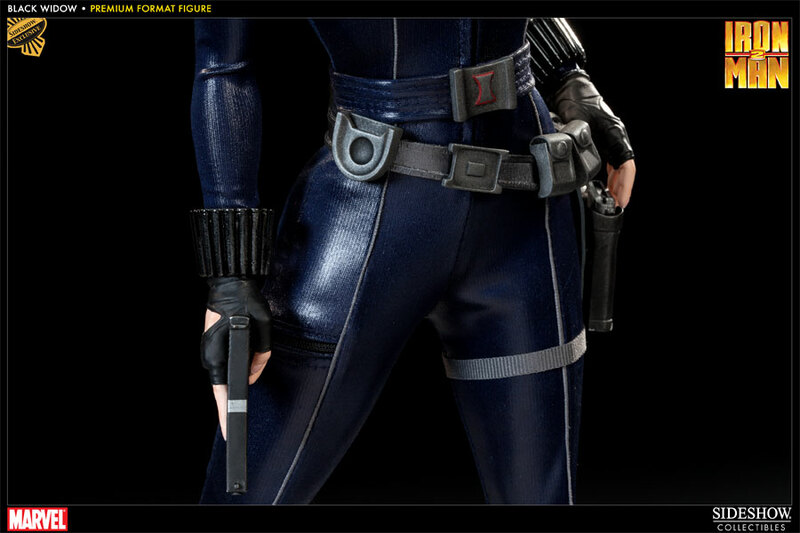 I mean Black Widow!